The beginning of November brought with it a treat for all the Nerds in Lahore. 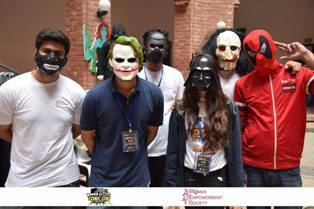 The Women Empowerment Society at Forman Christian College hosted the first ever Feminist ComicCon in Pakistan. The 2-day event started off on 02 November with participants, students and panelists pouring in from different colleges, universities and even cities. WES’s Feminist ComicCon held a myriad of competitions (including FanArt, trivia, gaming and Cosplay), movie screenings and Panel discussions. 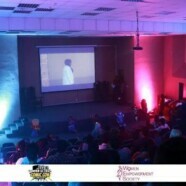 The progressive event was graciously sponsored by PickShop and Six B food industry. 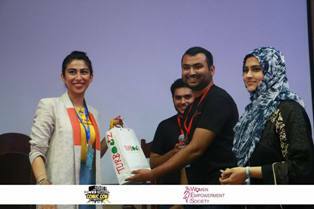 The panelists on the first day included the multi-talented Meesha Shafi, Khaya Ahmed (consulting Editor with Marvel comics) and Nigar Nazar of Gogi comics. The FanArt competition was judged by panelist Amna Saleem, the comic artist for Run Sheeda Run. 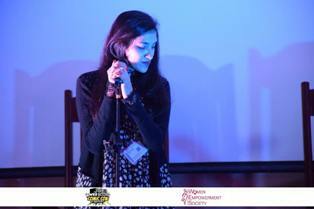 She, too, was a panelist along with Moneeza Burney, Maria Khan and Wasiq Harris on day 2. 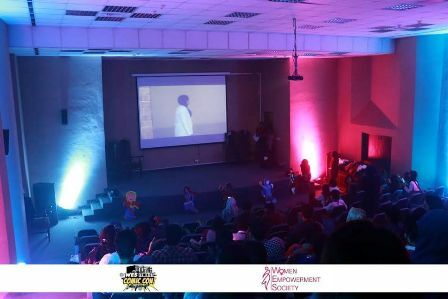 The Armacost Science building of FC College was abuzz with students and guests as they immersed themselves in the multitude of activities taking place throughout both days. There was no shortage of variety when it came to stalls. Online shopping stores and merchandise retailers such as Digital Realm, Turbooz and Art Faction were swarmed with fans buying their favorite merchandise on sale. 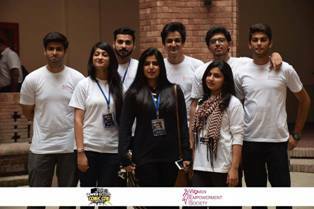 What’a Paratha and Maro Tandoors were the favorite food spots at the event. Everyone who attended WES’ Feminist ComicCon had an unforgettable time and left extremely satisfied. The Women Empowerment Society received an extremely positive reception for this debut event and has inspired them to hold it again next year, only bigger and better!